Al Rosen still slams line drives. On his way to becoming a perennial All-Star in the mid-1950s, Cleveland Indians clean-up hitter Al Rosen received more than his share of barbs from opposing dugouts and the stands. All these years later, the slugging Jewish third baseman recalls how he distinguished casual insults from malicious slurs. Rosen makes a memorable appearance in “Jews and Baseball: An American Love Story,” Peter Miller’s entertaining and unexpectedly thoughtful documentary about the relationship between the national pastime, an immigrant population and their assimilated sons and daughters. “Jews and Baseball,” which boasts a first-rate narration written by New York Times sportswriter Ira Berkow and read by Dustin Hoffman, and an ultra-rare interview with Sandy Koufax, screens in the Hartford Jewish Film Festival. 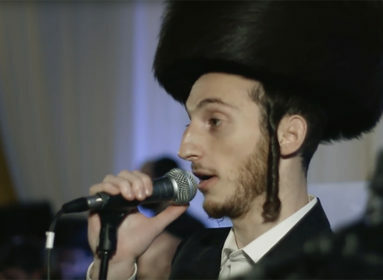 Rosen wasn’t raised with any formal training in Judaism, he said in an interview during the San Francisco Jewish Film Festival last summer, but he knew who he was. Actually, growing up in the 1930s in a lower-middle-class neighborhood in Miami (where Little Havana is today) with no other Jews, there was always some kid to remind him. That’s not false bravado. Even at 86, the wiry Rosen gives off the vibe of a man who won’t be pushed around. As he describes his adolescence, it’s easy to see why he wasn’t hesitant to use his fists to silence an anti-Semite in the minors or even after he reached the big leagues in 1947. Rosen came within one hit of the elusive batting Triple Crown in 1953, and garnered the American League MVP award in a unanimous vote. But bothered by injuries and livid at the way Indians general manager (and Detroit Tigers legend) Hank Greenberg treated him—cutting his salary after the 1954 season and trading him to Boston after the ’56 campaign—Rosen retired at the age of 32 rather than start over in a new city. He does credit Greenberg with being the first great Jewish ballplayer, and for inspiring other Jews to enter the game. But Rosen attributes the decline in overt anti-Semitism to the establishment of the state of Israel in 1948. Speaking of fighting, Rosen was longtime teammates with Larry Doby, who broke the color barrier in the American League two months before Rosen was called up. “I don’t know that Doby was of any help to me as a Jew or I was any help to Doby as a black man,” Rosen says, before recounting an incident in Texas involving a cabbie who refused to drive the black player. Rosen returned to baseball in the late 1970s as president of the Yankees after his old friend, George Steinbrenner, bought the team. Rosen was also a successful GM with the Houston Astros and San Francisco Giants, and he continues to follow the game and hold strong, well-considered opinions. If one word could be used to describe Al Rosen, it would be character. Michael Fox is a freelance film critic. “Jews and Baseball: An American Love Story,” directed by Peter Miller, will screen at the Mandell JCC Hartford Jewish Film Festival on Sunday, March 27, 3 p.m. at K&G Theatres in Bloomfield. The screening is sponsored by the New Britain Rock Cats with community support from Congregation Beth Israel of West Hartford. For more information visit www.hjff.org or call (860) 236-4571. For tickets call the box office at (860) 231-6316.